Stressing about reaching your EOY e-commerce goals? We’re here to help! 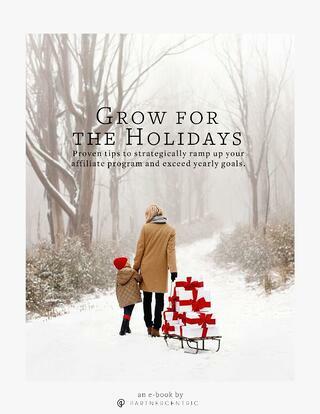 Download our latest e-book for actionable ways to maximize your efforts for program growth this holiday season with proven tips from just some of PartnerCentric’s tenured affiliate program managers. Enclosed you’ll also find an offer for a FREE holiday audit. Get your copy now!